Notice is hereby given that Community Resource Bank, Northfield, Minnesota has notified the Minnesota Department of Commerce of its intent to relocate the detached facility/branch, a distance of approximately .5 miles within Northfield from 25 Bridge Square to 618 Division Street, Northfield, Rice County, Minnesota 55057. Kuehnast said the ‘intent’ language is required by Federal regulators and he was careful to use it with me in my phone call with him. 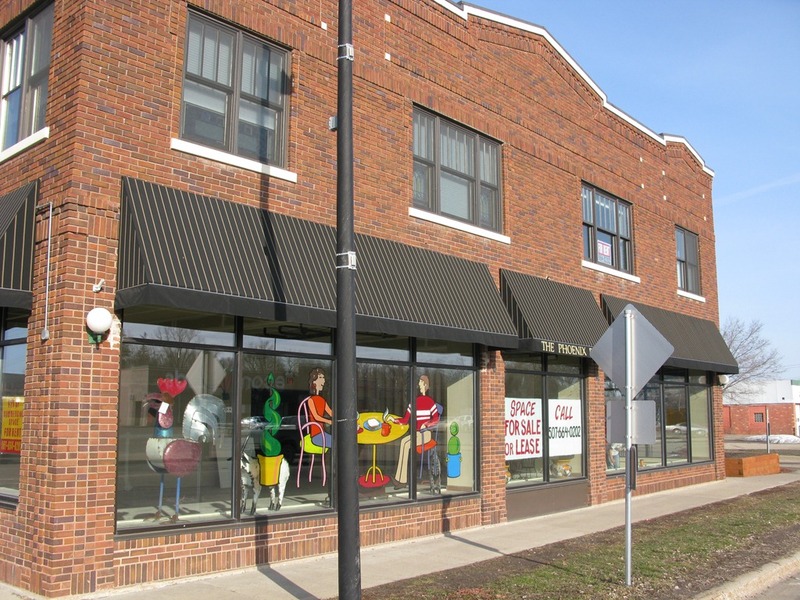 Last year, the bank filed a permit with the city indicating that it would move its downtown branch to the Phoenix Building, the former site of Lansing Hardware. But the bank chose not to move after its lease at Bridge Square was extended by First National Bank, which owns the property. Kuehnast would not comment on whether the bank is still considering a move to the front portion of the Phoenix Building. That doesn’t quite tell the whole story. 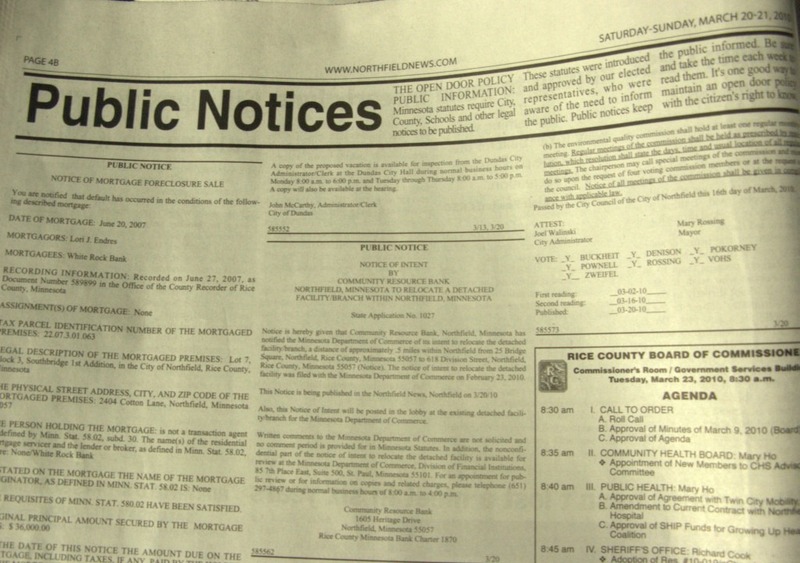 See my Sept. 5, 2009 blog post: Northfield News mishandles the Community Resource Bank move story.